It is oft quoted in numerous aphorisms and proverbs that we should learn from the past. According to Napoléon Bonaparte’s last maxim, in his Maximes de Guerre de Napoléon, one should “Lisez, relisez les campagnes d’Alexandre, Annibal, César, Gustave, Turenne, Eugène, et de Frédéric; modelez-vous sur eux; voilà le seul moyen de devenir grand capitaine, et de surprendre les secrets de l’art de la guerre” [“Read, reread the campaigns of Alexander the Great, Hannibal, Julius Caesar, Gustavus Adolphus, Vicomte of Turenne, Prince Eugene of Savoy and Frederick the Great; model yourself on them; that there is the only way to become a great commander, and to obtain the secrets of the art of war.”] (Translation mine). Not only does Napoléon divulge that one must study the great works, but he also advises that we should model ourselves on historical figures and their actions. At first glance this makes sense, Napoléon is extrapolating the common sense belief that the past contains knowledge that will help in the future. Accordingly, history is one of the primary disciplines that we must study to gain access to that knowledge. Rather than properly extracting knowledge from the past, politicians and generals fall prey to letting history decide their actions. Napoléon, however, cannot be wholly wrong—he did conquer Europe—but is it possible to be informed by history without being dictated by it? Rejecting conventional wisdom is never simple because there is always some nugget of truth upon which the wisdom is based; the problem is sifting that nugget from out of the misconceptions. It is true that if politicians and generals study history, then they have a greater chance of understanding the possible contextual factors cultivating potential success. Study, however, is not sufficient, because the way we treat history affects our decisions for the future: we end up constructing the past just as we are trying to construct the future. Memory and interpretation of the past restricts thoughts, constraining possible actions, or even - like the hand of Fate - guide toward a specific action, often as a reaction. We create a story, a connection of events that only through hindsight is it possible to see a connection. The problem is that how we observe history influences how we extract potential lessons and then project them into the future. If we are to criticize how we learn from history, then it is necessary to begin with a solid foundation of history’s nature, especially history’s relation and difference with the past. History is both the subject and the study of the past. It is the connection of moments in the past as a whole, a chronological record. History is not just that Event A happened at time t and Event B happened at time t+1, but also considers their linkage as a whole and in context. History not only explores that Event A and Event B happened, but also places them in the logical space where it is fact that Event A happened before Event B. This history of events leaves open the possibility that Event A could have influenced what happened at Event B. For history describes not only what happened in the past but why and, perhaps even, why not. In studying history, we are often able to accumulate the whos, whats, whens, and wheres but not the why. The why is what the historian does - the why is the explanation. Interpreting events historically requires linking them together in a logically consistent relationship given known - deductively or inductively - supporting evidence. Yet, if we are to build a history, a chronology of events, then we must look at the whole of the situation and the context from which these events develop. Michael Howard’s “The Use and Abuse of Military History” is a standout for requiring a width, depth, and context. But is history always improved by knowing more about what happened? When does a mile wide and an inch deep, switch to an inch wide and a mile deep? The concern is whether, in the process, we are using history or getting used by history? History is the process by which we construct the past - the banal and the regal. We are conditioned to think that history is the distant past filled with the action of kings and generals, statements and leaders, but it is just as much about the recent past filled with the action of relative nobodies. History is the process by which we construct the past - the banal and the regal. But identifying the reality of the situation is more than just summation of the facts without causal or correlating claims. And yet, over reliance on identifying the whys can lead to erroneous leaps towards correlation and causation. We must solidify the facts before we can even begin to ask why. Just think about a connect-the-dots picture. We need all the dots there before we can link them together. Even missing one dot can alter the picture dramatically. Some facts are more pivotal than others, and some, when they emerge fundamentally alter the factual connections. The main problem is often we do not realize we are missing facts, like a set of past unknown unknowns. 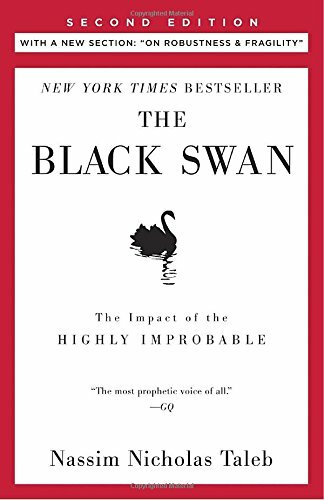 Nassim Nicholas Taleb’s book The Black Swan considers the predictability of consequential unforeseeable events. He writes, simply, “History is opaque.” Opaque is quite an understatement. The complexity of past events is more than the present, because we are evaluating a former present through the lens of time. (And, it’s not like we’ve got the present all figured out.) Recall, there was a time when we knew the earth was flat. Furthermore, Fred Charles Iklé, in his work Every War Must End, finds that “History is a cruel tutor.” As Iklé discerns, it is not that we cannot learn from history, but that its methods are pernicious. History often teaches us lessons the hard way (failure) or the wrong way (misinterpretation) and then gives us more knowledge than we can handle. An inquiry into the nature of history would be remiss to fail to consult Georg Wilhelm Friedrich Hegel. He writes in The Philosophy of History that “Rulers, statesmen, and nations are told that the ought to learn from the experience of history. Yet what experience and history teach us is this, that nations and governments have never learned anything from history, nor acted in accordance with the lessons to be derived from it.” Hegel identifies the two-part problem. In order to act as Napoléon counsels, we must not only properly interpret and learn from the past, but also apply our knowledge to the future and “act in accordance with the lessons.” If one cannot discern accurately the facts, then one can never proceed to seek the relations between them. Furthermore, without any distilled lesson as a framework, a model to develop future actions, then, of course, there is no way to apply it in the future. The first problem in interpreting history is accumulating the relevant facts to properly picture the past. In his book, Taleb focuses on common faults that lead to these problematic interpretations. Thus, if we know where our faults lie - our interpretive fallacies - then there is the possibility to avoid future mistakes and actually derive lessons from history. There is a difference between perceptions of history as a whole and the reality of the facts that make up the past as it was. According to Taleb, “the human mind suffers from three ailments as it comes into contact with history…the illusion of understanding…the retrospective distortion…and the overvaluation of factual information.” The “illusion of understanding” means that we think we know something when, in fact, we do not, while “the overvaluation of factual information” means we place too much weight in a certain action producing a certain result. A classic example of “the overvaluation of factual information” is a history that considers the assassination of Archduke Francis Ferdinand as the reason for World War I. An example of “the illusion of understanding” is any attempt to simplify or attempt to assert that you have a grip on a certain past - i.e. flat world. As is the case with most knowledge, the more you know, the more you realize you do not know. Although both are important flaws in our comprehension of the past they are basic epistemic problems, whereas “retrospective distortion” is specific to the past. “Retrospective distortion” is more prevalent in how we tell history, as a (hi)story of the past. Taleb clarifies the problem as “how we can assess matters only after the fact, as if they were in a rearview mirror (history seems clearer and more organized in history books than in empirical reality).” Recounting the facts of the past is presented to us in such a way that we narrate them and make connections and linkages that are often not there. In the present, the world is a mess: events are happening, relations unknown, among other things – the present is chaos. But when observing the past we can’t help but force a narrative onto each situation; the created narrative ends up dictating incorrect conclusions, correlations, causations. Narrative makes news, because, it seems, only once time has passed are able to reconstruct the events that were a hodgepodge in the present, into a coherent translatable whole. The problem is constructing a translatable whole, a relatively neat story that we can read about in a textbook or in newspaper articles. Rather than scorning complexity we must welcome it. Complexity means we often have a greater grasp of the facts because they are not fitting together; they are more like the facts of the present. As we try to order a disordered world we produce the past as part of the present. Instead we must strive to look at the past like Hegel writes, “When we are occupied with a remote world of the past, that world becomes present to the mind through the mind’s own activity…Pragmatic reflections, abstract though they might be are thus what is in fact present, and they bring the accounts of the past to life in our present-day world.” If we can perceive the past in a present sense, the chaos will re-emerge, which will be a good thing. Avoiding, as Taleb notes, how “Categorizing always produces reduction in true complexity.” For instance, when we label acts as terrorism we decrease their complexity and place them into a certain narrative (perhaps they are fighting because they have no possibility to make money for if they did they would not be fighting – see, for example, David Kilcullen’s “accidental guerrilla”). Rather than scorning complexity we must welcome it. Complexity means we often have a greater grasp of the facts because they are not fitting together; they are more like the facts of the present. Now, we do not want to complicate things just for the sake of it, but with more factors, more concerns, more values, more actors, and more variables, the past resembles more of the present. Simplification, although helpful for our mind to handle situations, never paints the whole picture. The act of looking back at the past results in diminishing the past as a former present, into a story. Taleb observes, “Our tendency to perceive—to impose—narrativity and causality are symptoms of the same disease—dimension reduction. Moreover, like causality, narrativity has a chronological dimension and leads to the perception of the flow of time. Causality makes time flow in a single direction, and so does narrativity.” What Taleb is concerned with is that in telling history as a story of the past rather than as the former chaos of the present reduces the ‘dimensions’ of the past - much like the difference between a two-dimensional square and a three-dimensional cube. A newspaper article published after a major series of events explains “what comes out, not the script that produces events, the generator of history. There is a fundamental incompleteness in your grasp of such events, since you do not see what’s inside the box, how the mechanism works.” Although the author of the newspaper article attempts to find the links and the underlying mechanism to understand the set of moments in history, there will be missing facts and improper linkage, where the better the article the more facts and the better the linkages. If, however, we can develop mechanisms we can achieve progress towards understanding the past. These mechanisms would generate functional lessons that can apply to present and future scenarios, but first it requires accepting history, instead, as a three-dimensional black box. Accepting the incompleteness is necessary to begin to find the underlying mechanism or structure that produces such lessons. One’s knowledge of the past and history is by default fundamentally incomplete, but this incompleteness does not mean we cannot learn from history at all. Proceeding with caution and an understanding of the fallibility of our views, protects us from falling into the trap of considering our views dogmatic. Moreover, we will be more willing to change our perspective when we are given the appropriate facts than we would have been before (although we might still not want to change our views). The lessons we can possibly take from history emerge once we accumulate enough facts and apply them to the framework that we have produced from history, which again, can and will change with time and knowledge. If we rely on lessons of history, we ought to keep in mind that the bottom line of these lessons is always a comparison of two parts. One part is actual history: the known facts of what did happen following the decision that was taken. The other is counterfactual history: conjectures about what might have happened along the road not taken. This mixture of facts and speculation is unavoidable. Not only must we understand the facts of the matter at hand, but also avoid inserting our judgments of the past. Improper knowledge of the facts can lead to improper action, but so can overzealous what-if scenarios. Considering too many alternate possibilities can lead to trying that possible action out in the future for no other reason than a what-if. In the present we act without knowing all the facts (how could we) and without numerous what-ifs; instead, we prioritize what we need to know and in doing so act based on a combination of frameworks and the facts - our knowledge. A humble reverence for the past allows one to stop trying to piece the past together like a jigsaw puzzle and instead appreciate the diversity of factors. No one knows all and it is, as Hegel writes, “Only from a superior position can one truly see things for what they are and see everything.” A humble reverence for the past allows one to stop trying to piece the past together like a jigsaw puzzle and instead appreciate the diversity of factors. Remember history, as the story of the past, is a black-box, unknown. There are good guesses and better answers, but any authority must remain cognizant of its potential failings. Like Taleb writes about history, “[use] it as a default, a basis for action, but not for more than that. This [is a] clean approach to the past” History should be the basis of action; it should inform us, but not dictate our actions. What makes people morally dissatisfied (and this is a dissatisfaction upon which they pride themselves) is that they do not see the present as measuring up to the goals they hold as right and good. This applies especially to contemporary ideal models of political institutions—thus contrasting the way things are with the way they ought to be. We construct futures from our “ought to be” that stems from our belief that we can always progress from the past, but as Taleb asserts, “History and societies do not crawl. They make jumps. They go from fracture to fracture, with a few vibrations in between.” History leaps and bounds from point to point from events like 9/11 to the Arab Spring, where some events progress better than others. The problem is that we might not reach where we want to go, or, for that matter, even can go in that direction. If we cannot project end states, how can we go anywhere? It is not that we cannot project end states, but that we must see past our current state to reflect on where we are and where we are potentially heading. Taleb warns, “[t]he only way you can imagine a future “similar” to the past is by assuming that it will be an exact projection of it, hence predictable.” This is where we must be wary. If we cannot project lessons from history without duplicating the perspective, then how can we apply the lessons? The answer is a framework. A framework is the underlying structure of intentions that produce action. It protects knowledge and keeps us in the present, using only the facts we have to inform our actions; there are no preset solutions, only priorities. Establishing this fact enables one to understand the past and apply it to the future. A framework is built from values - our ends in terms of both morals and ethics - and principles - the means by which we use to achieve our ends. This is not strategy, but an abstract structure that explains priorities of present thinking. The framework explains how those actors in the past prioritized their thoughts about what was happening around them. If we know how they prioritized their thoughts - what principles and values determined their will - then we can choose either to apply (or not to apply) the same framework of principles and values to the present situation. Besides, if we see how various priorities succeeded or failed that gives us good evidence to use or avoid certain frameworks. Thus, the lessons from history turn out not to be particulars, but instead general properties of how to think, how we should construct our will. Unfortunately, as Taleb observes, “we tend to learn the precise, not the general,” but this just explains why there are few truly great politicians and generals from history who learned from history. The framework helps develop mechanisms to prevents common failures in actions and reactions with the past, because it separates out how one wants to think (this is what we learn from the past) and doing so develops guidance for the future. The first consequence of this asymmetry is that, in people’s minds, the relationship between the past and the future does not learn from the relationship between the past and the past previous to it. There is a blind spot: when we think of tomorrow we do not frame it in terms of what we thought about yesterday on the day before yesterday. Because of this introspective defect we fail to learn about the difference between our past predictions and the subsequent outcomes. When we think of tomorrow, we just project it as another yesterday. If we are to look at the process of the past, then we must contextually evaluate from the same time. Otherwise we employ the “reflective distortion” that we have been warned so much about. A framework is flexible with incomplete facts (because it can be modified) and it encourages complexity because there is no priority for a certain way to think. It also welcomes contextualized thought because the framework can evolve with itself. To go back to the beginning, Napoléon’s maxim demanded that we “model ourselves” on the greats of history, what better model than a framework. If we look back at the past and extract the facts without necessary causal or correlative relations, then the only structure we are left with is a framework. Further, to heed the advice of Napoléon, we must model ourselves using a framework, through which we can apply lessons of history. There is no preset answer; if there were a prescribed conclusion, then it would be a formula and not a framework. A framework that guides our will is optimally made up of principles and values. Yet, Gideon Rose, in his book How Wars End, is victim to the lesson necessity. He writes, “perceived lessons from recent conflicts apparently played an important role in driving decisions.” Although he uses the notion “perceived” to self-critique and to demonstrate the failure of “lessons” to adequately explain how we should apply the past to the present with regard to the future, he still represents the problem is “retrospective distortion.” Narrating history like a story produces neat-and tidy lessons, like morals from fairy-tales, but just like fairy-tales, such lessons do not exist. Consider two examples from World War II, which are classic examples from which “lessons” from history emerge. The first case is the Allies use of appeasement before Hitler invaded Czechoslovakia. The facts indicated that Hitler was aggressive, but the Allies believed that based on the events of World War I, avoiding war was the solution. They perceived that appeasing Hitler would eventually work (if only we give him another chance, he will stop), even though the facts at the time indicated that was not to be the case. The lesson derived was that the Allies should use appeasement. Considering a framework, however, leads to a different result and a better so-called lesson (if we want to even consider it as such). Rather than reacting to the present, the Allies were stuck judging, reflecting, and wallowing in their past such that their pacifism blinded them from their present threat. It complicated how they could act and would act in the present. In other words, they were stuck trying to make their facts fit a past narrative that no longer described the present. In the second case, consider Hitler as a military leader (not as a person). He maintained a perspective, a framework, a Weltanschauung (world view) that dictated his actions. He was so engrossed in his ideology and his plan that he scorned the past and history (although not all history because of his obsession of the German Volk, the German cultural history, and punishment of France). Reading the campaigns of Napoleon, however, should have alerted him to the fact that invading Russia in the winter would be detrimental. Here is a case of someone who was so structurally oriented that he failed to even accommodate past knowledge. Perhaps, it is too strong to say that Hitler did not appreciate history, but he is a case where the balance is so out of whack in the opposite direction. Rather than an obsession over what had happened and a fear of repeating it - like the Allies with World War I - Hitler was hell-bent on creating a future, on obtaining Lebensraum. Both the Allies and Hitler failed to learn from history. The Allies were so focused in the past, while Hitler was trapped in the future, but in both cases they ineffectively reacted to their present. As has been often the case, there is a balance that is necessary to be struck: in this case between concentrating on the past, the present, and the future. There is no right answer, but there are definitely better ones. Both the Allies and Hitler failed to learn from history. The Allies were so focused in the past, while Hitler was trapped in the future, but in both cases they ineffectively reacted to their present. Gauging intentions, however, seems infinitely more complicated than finding the facts of history, which, it seems, we are quite poor at doing. Iklé writes, “They [policy-makers] must look ahead. Nevertheless, they will be strongly influenced by history.” The strongest will look ahead applying a framework of priorities, based on values and principles, derived from the past, such that they are influenced, but not dictated by history. If one is influenced by history then one learns and avoids the problem of fighting the last war. Taleb warns, “we don’t learn rules, just facts, and only facts. Metarules (such as the rule that we have a tendency to not learn rules) we don’t seem to be good at getting. We scorn the abstract.” It is true the idea of the framework is complicated and abstract, but even though finding the “rules” are difficult, it is not impossible. If, however, we want to learn properly from history and avoiding the potholes Taleb points out, then using a framework is necessary, and possible with a bit of coup d’œil. We must study history and model ourselves using a framework of priorities, values, and principles, and only then, is it possible to begin to become a grand capitaine. Napoléon, Maximes de Guerre de Napoléon (Lexington: Elibron Classics, 2006): 45-46. Having now read Marie von Clausewitz, my understanding of On War and Clausewitz is forever changed. Nassim Nicholas Taleb, The Black Swan: The Impact of the Highly Improbable (New York: Random House Trade Paperbacks, 2010): 8. 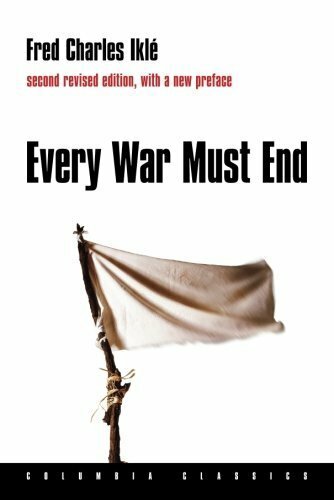 Fred Charles Iklé, Every War Must End, (New York: Columbia University Press, 2005): vii. G. W. F. Hegel, Introduction to The Philosophy of History, trans. Leo Rauch (Indianapolis: Hackett Publishing Company, 1988): 8. Of course, it is necessary to remark that this evaluation is still based on speculation of what-ifs and possible scenarios. There is no way to know that one choice was better than the other. Again this does not mean that we cannot learn from history. Instead, we must be vigilant and careful. Also, the politicians and generals who were successful did find a way to learn from the past, so this is not all for naught. One can learn a framework negatively too, from someone who prioritized incorrectly and had poor principles and values. Gideon Rose, How Wars End: Why We Always Fight The Last Battle (New York: Simon & Schuster Paperbacks, 2010): XII. I don’t know if he did read these, but even if he did, he clearly did not learn anything.